26.06.2016. Alexander Stadium, Birmingham, England. British Athletics Championships. 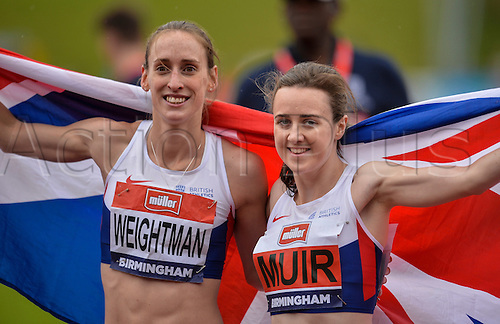 Laura Weightman and Laura Muir celebrate with the British flag after the 1500m.